The first seven months felt remarkably smooth for Lindsay Davidson, who was preparing for the arrival of their first child with husband Ben Abel. 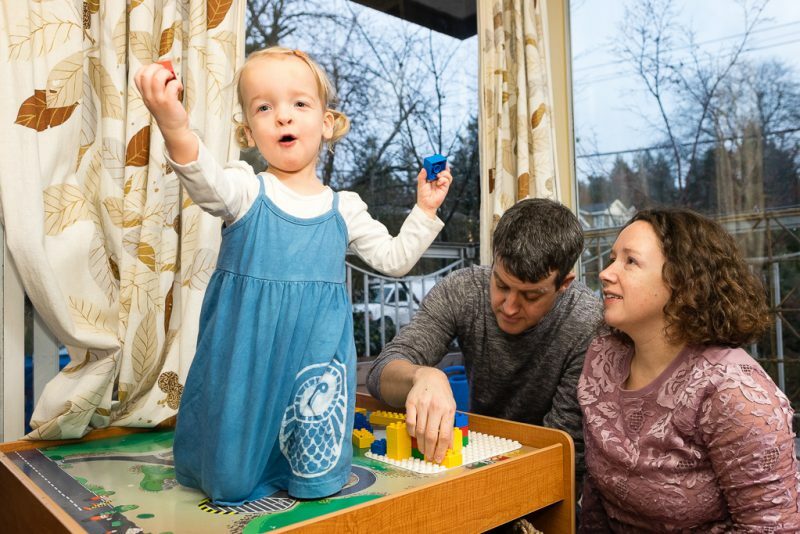 But a routine check-up at 30 weeks sent the North Vancouver couple into a week-long tailspin that eventually brought them to Royal Columbian Hospital for an emergency delivery and an anxious introduction to parenthood. During the check-up, Lindsay’s blood pressure was high enough that she was sent to the local hospital for bed rest and monitoring. There, she was diagnosed with preeclampsia, a potentially life-threatening condition that occurs in a small number of pregnancies. As a high-risk maternity centre with one of only four Level 3 neonatal intensive care units in the province, Royal Columbian Hospital cares for expectant mothers and premature newborns from throughout the province. For Lindsay, who had expected to give birth at her nearby local hospital, the transfer to Royal Columbian was a blur. For his part, Ben followed the ambulance along the highway in his own vehicle as they all headed to New Westminster. Royal Columbian Hospital neonatologist Dr. Mudaffer Al-Mudaffer says preeclampsia can be life-threatening to the mother and subsequently to her yet-to-be-born baby if it becomes out of control. Doctors at Royal Columbian first tried to induce Lindsay before deciding on an emergency caesarean section. Soon, Charlotte was born at 31 weeks and five days, weighing only two pounds eight ounces. “I remember sitting back down and being quite emotional about it,” says Ben. There were more anxious times ahead, as Charlotte was taken to the neonatal intensive care unit, where she would spend close to two months getting stronger and healthier. Lindsay and Ben made daily trips to Royal Columbian to be by Charlotte’s side as she gradually overcame the challenges of being born early. “There were all these milestones they wanted her to reach, which is stressful, but then when she reached them it was amazing,” says Lindsay. The couple formed strong bonds with hospital staff and other parents during their time in the NICU. They remain grateful to the team that includes doctors, nurses, respiratory therapists and social workers, many of whose names are quickly recalled during a conversation more than two years later. As for Charlotte, she’s now a healthy, happy and energetic child. “But we knew that even before she was born,” adds Ben. Charlotte playing at home, more than two years after being born prematurely at only two pounds eight ounces. In gratitude for the care provided by Royal Columbian Hospital’s neonatal intensive care unit, Ben has employed his musical talents to fundraise for the NICU. He organized a charity event in June 2015 and is planning his second annual effort for June 23, 2016 at Studio Records in Vancouver.